Some books you pick up with no expectations at all. I pick up books as fillers, just as in insurance, just in case I run out of books to read. Oh! The horror! I have a few books to read on the Kindle, yet the thought of having no ‘yet-to-read’ books horrifies me. I know, I know, I need to get my head checked. Edited to add the book cover. I completely missed out adding it while posting. It’s Christmas night, and Dr Olivia Simon is on duty at the ER. A young woman is brought into the ER with a gunshot wound. Try as she might, Olivia couldn’t save her. She has the devastating duty of telling the family the news. As she sees the sorrow and devastation in the victim’s husband’s eyes, she knows that she has to do it all over again. Her own husband is infatuated with this woman, Annie O’Neill. In a cruel twist of fate, Olivia was telling two grieving men that the woman they loved was dead, one of them, her own husband. As her marriage crumbles around her, Olivia starts to get drawn to this woman, this saint of a woman who seemed to be perfect, not just in the two men who seemed to adore her, but also the whole town. Annie was the one doing compassionate things everywhere, helping out in shelter homes, charity drives, and seemed to have touched so many lives. In an effort to understand the woman for whom her husband left her for, Olivia starts volunteering at the shelter home where Annie volunteered and also learning how to make stained glass, Annie’s craft. Before she knew it, she realizes that she is almost walking in a dead woman’s shoes. Is she trying to live someone else’s life, in a desperate effort to make sense of the mess that her life has become? As Olivia battles with her demons and her choices, the story of Annie O’Neill unfolds. The story is set on Kiss River, which has an old lighthouse which Alec O’Neill, Annie’s husband is trying to save from being destroyed. It holds fond memories for him. It also holds other memories and stories that only Mary Poor, the old keeper of the light house knows. A story that grabs you from page one, and refuses to let go till the very end. An easy, fast paced read, a page turner. It made me root for Olivia, hoping that things work out for her, made me really angry at some of the characters, and empathize with others. Full of well-defined, complex characters, the author certainly knows how to keep the story going. 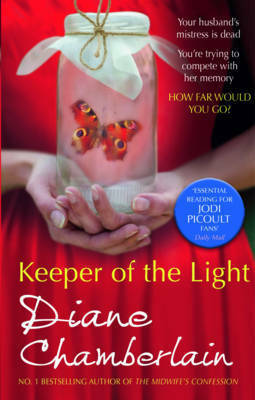 The cover compares it to Jodi Picoult’s writing, but I wouldn’t go so far. It was a great read, one I enjoyed a lot, but most definitely a one time read. But for a one-time read, it was well worth it. I enjoyed it thoroughly to rate it a 4.5/5. It is part of a trilogy, I read the last part of it, later, which was not as good as this one. Award-winning author Diane Chamberlain, was born and raised in Plainfield, New Jersey, and attended Glassboro State University. She also lived for many years in both San Diego and northern Virginia, where she still resides. She is an author of 22 novels. She usually writes about relationships between men and women, parents and children, brothers and sisters, and friends. More about the author here. I’m at that stage where I have just too many wonderful books to review. A long list that I am working through. Some I can not not review, others so good that I wonder if I might just end up messing it up by reviewing them. The Book Thief falls under that category. It is with a lot of trepidation that I review it, hoping that I do justice to a book as wonderful as this. Bindu had reviewed this, and ever since, I had been waiting to get hold of it. Bindu is one of those close friends of mine, whose reviews, I can trust with my eyes closed. I love the books that she picks up. The story of the book thief is narrated by death. Death has a personality, a character of its own, and feelings as it narrates the tale of Liesel Meminger, a nine-year old orphan. She and her brother are traveling to their new foster parents’ place, when Death visits them the first time and takes away her brother. This is Death’s first encounter with Liesel, and also the first time she steals a book, ‘The Gravedigger’s Handbook’. She steals it, just as a reminder of her brother. A book has no meaning to her, because she can’t read, yet, but that will change, and how that would change! Liesel arrives at her foster parents’ place, Hans and Rosa Hubermanns. Hans Hubermann is loving and caring, while Rosa’s style of showing love is rather different. Either way, Liesel makes peace with her fate and goes along with what ever is expected of her. Hans takes an extra effort to make things easier for Liesel, much to the disapproval of his wife. He teaches her painstakingly to read. Liesel befriends Rudy, a boy from her neighbourhood, and from her school. Together, they face the world in the way only children can. Hans is a patriotic man but doesn’t agree completely with the Nazi party ideas. That results in him not getting entry into the Nazi party, much to dismay of his son. Not being part of the Nazi party comes with problems of its own, and Hubermanns have to face the brunt of it. All this while, Liesel has been steadily reading books that she manages to steal. I wish I could write more, but I would then be giving the whole story. Set in Nazi Germany, it is a beautiful piece of work. Liesel’s story is beautifully woven in, with the happenings of that time and the things people do to survive and help others survive and how books play a huge, huge role in that. 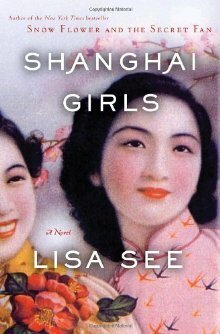 Set in one of history’s most tragic and brutal times, this book is about hope and courage. It is a book that can make you cry and smile and feel good about the general goodness of people. I love the way the characters are all beautifully fleshed out. Liesel’s stoic and resilient nature, with glimpses of how much she misses her mother. Hans’ simple and caring nature, coupled with doing what is right. Rudy, Rosa I mean, I could go on. I loved the characterization and the fact that the author has brought it all together so beautifully. I especially loved the way Death narrates the story, giving us an inkling of what is about to come. A book I thoroughly enjoyed. One that I took my time to read. Re-reading bits, going back to parts, what a gorgeous book it was! This is one of the books that I will have in my personal collection. To read, and re-read, again and again. As I said, I worry about reviewing this book, in case I don’t make it as interesting as the book itself is. All I would say is that, even if you hate my review, please do read the book. It would be totally worth it. A book that will stay with you. I even liked the book cover! A 5/5 book for me. Markus Zusak was born in 1975 and is the author of five books, including the international bestseller, The Book Thief , which is translated into more than forty languages. 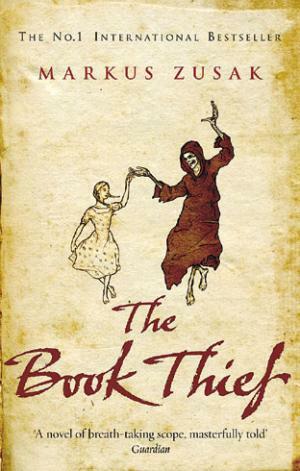 First released in 2005, The Book Thief has spent a total of 375 weeks on the New York Times bestseller list, and still remains there eight years after it first came out. TGND recommended this book to me, and I have come to trust her recommendations completely. Moreover, having loved Moyes’ Me Before You, I couldn’t wait to get hold of this one. It is the 1960s. Jennifer Stirling wakes up in a London Hospital, clueless about who she is or how she ended up in the hospital. All she could gather was that she was in an accident and was the wife of an extremely successful business magnate Laurence Stirling. Despite her husband’s obvious concern for her, Jennifer feels extremely uncomfortable in his presence, and unable to understand why she feels so uncomfortable in the privileged life that she and her husband seemed to live. Something just doesn’t feel right. She feels like a stranger in what is supposed to be her life. In her quest to understand her life before the accident, she starts looking for clues and comes across a bunch of letters, passionate letter to her, written by a mysterious ‘B’. She still couldn’t remember what happened in her life before the accident, but it was clear that her initial discomfort with her husband was something that stayed from her life before the accident. And that B was someone very dear to her, if only she could remember who he was! Some 40 years later, journalist Ellie, is going through documents in the library archives of the newspaper that she works in. She has been assigned to write an article about life in the 60s by her boss, when she comes across a letter that piques her curiosity. Ellie needs to find out more. Completely intrigued and fascinated by the first letter, can’t seem to let go without finding out more about what seems to be a passionate but seemingly ill-fated love. As she digs into the decades old passion, she wonders if she has a lesson to learn as well. 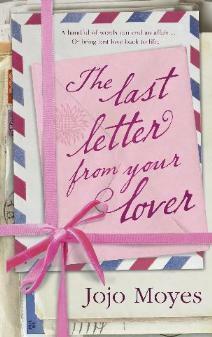 I loved the book, loved the way the author has spun the romance, with the unexpected twists. Most of the book is about Jennifer and the way she finds her way in the maze that her memory seems to have become. A beautifully written book. A simple enough story, handled in a beautiful way, it takes us through emotions, passions and life, with its unpredictability and uncertainty. The characters are real, with flaws, and warts and all. It is an absolute page turner, totally unputdownable. I couldn’t wait to find out what happens in the end. A book that left me moist-eyed by the end. I also loved the cover. Something about it, just called out to me. I would rate it a 4/5. So have you read this yet? And if so, how did you find it? It is funny how I have missed out reading some authors for such a long time. For some reason, I hadn’t come across Nevil Shute, until recently. I had loved his ‘A Town like Alice’, so when I found another of his books, I just had to grab it. Jennifer is living in Post-War London. Life is tough in the UK, with all the rationing and the difficulties of a war ravaged nation. Britain is struggling to even feed its people. Jennifer comes to into some money unexpectedly, from her grandmother, who urges her to use it to go and see Australia, where a niece of her grandmother’s lives. Unsure, initially, Jennifer decides to go for it. She lands in Australia and finds it quite different from the bleak Britain that she left behind. After the hardships and the difficulties of Britain, Australia is the land of the plenty. Jane and Jack Dorman, Jennifer’s grandmother’s niece and her husband are prosperous sheep farmers. All their hard work has paid off and now are enjoying the luxuries that they can afford. They welcome Jennifer with love and enthusiasm and Jennifer falls in love with the wild Australian Countryside. She meets Carl, an immigrant qualified doctor from Czechoslovakia, who though qualified cannot practice as his qualification is not accepted in Australia. He is happy enough working with the timber company he works at, helping colleagues and other locals with first aid when they need it. A friendship springs between the two. A sweet, endearing tale, set in a time which is beautifully captured by Shute’s words. I love the way the author describes things. His words bring to life, a difficult Britain and in stark contrast, Australia as the land of opportunities. The story recounts the dire situation Britain was, after the end of World War II. Life changed for the common man in so many ways that people started to move to other countries. Shute’s own feelings about the way the British government was handling the situation is evident in his writings. A book written in a different time, capturing the moods and emotions of that time beautifully. A simple story, but sometimes the simplest of stories can tug at your heartstrings. A really sweet tale, narrated in Shute’s matter of fact manner, is a wonderful read. I thoroughly enjoyed it and would certainly recommend it. I would rate it a 4/5. Nevil Shute Norway was a popular British novelist and a successful aeronautical engineer. 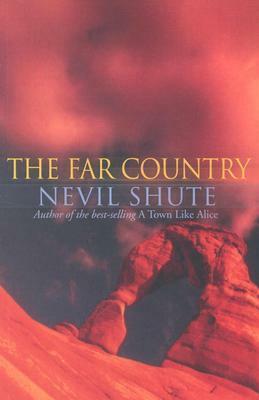 He used Nevil Shute as his pen name, and his full name in his engineering career, in order to protect his engineering career from any potential negative publicity in connection with his novels. He lived in Australia for the ten years before his death. A book that made me wait quite a bit before it reached my hands. I have always loved Jodi Picoult’s books. I am yet to be disappointed by her books. Sage Singer is a baker. The profession works perfectly for the kind of person she is, she works at night, getting bread ready for the morning, while everybody else is fast asleep, managing to avoid contact and conversation with people. She is a loner, finds it tough to meet people or make friends. She has terrible scars on her face which is still struggling to come to terms with. The only place that she meets people is the bereavement group that she attends. Even there, she hardly talks about the demons that haunt her. She is having an affair with a married man, sure that she is just worth that. She meets Josef Weber, a 95-year-old man, in the bereavement group and an unlikely friendship forms between them. One day, Josef asks a favour of her, to help him die. Sage refuses outright until he confesses his secret that he has hidden within himself for many years. It hits too close to home for Sage. Josef wants forgiveness before he dies. Is it ever going to be possible for Sage to forgive him and help him? What makes her the person to forgive him? As she questions him and finds answers, she finds herself going deep into her own history, her grandmother’s life as a Holocaust survivor, which so far, Sage knew little about. The flashbacks to her grandmother, Minka’s life as a child and her time in Auschwitz is a harrowing read. It is unimaginable that people could do such things to other people. It is difficult to imagine anyone surviving the horrors of the holocaust, and the scars that must have stayed with them for life. Despite having read loads on the Holocaust, this was still a harrowing read for me. Josef Weber’s life, which is related as a flashback as well, gives us a perspective from the other side – the German side. Picoult, as usual, picks up a tough and emotional topic and then weaves a tale which we just can’t put down. The beginning is a little slow, but it soon picks up and doesn’t let go until the very last page. There is a story within a story, which is fascinating and the way it all comes together in the end, is just classic Picoult. I loved the parts where Sage’s(and Minka’s dad’s)bread making process is described. It made me go and search for the recipes mentioned there, but that’s probably just me. I could almost smell the bread. There is also another story that being told as a separate thread. How it all ties together, is the beauty of the book. As usual, her characters all feel real, sometimes not very likeable, sometimes annoying, but definitely real. It was thought-provoking, it challenges the way we might want to think, and as usual, it makes you wonder, how you might have reacted in a similar situation. Just like Picoult always does. The several threads in the story make it fascinating reading, and I just loved the way, it all comes together in the end. I particularly loved the end. For me, it was a wonderful read, difficult at times, especially when the horrors of the Holocaust was described, but well worth it. A book that stays with you. I would give it a 4.5/5. If you like Picoult’s books, I would say, go for it! Picoult was born and raised in Nesconset on Long Island, New York. Her first story, at age 5 was “The Lobster Which Misunderstood.” She studied writing at Princeton University, graduating in 1987, and had two short stories published by Seventeen magazine while still in college. She is the best selling author with several best-sellers to her credit. This book is available at Amazon(UK) and Flipkart(India).